Yumi began her mortgage career in 2003, with years of experience in various lending channels. Her background prior to entering the mortgage industry was in customer service and banking. Yumi was raised in Portland Oregon since the age of 2 and has been an Oregonian ever since due to her love for the Pacific Northwest. Yumi is married with 2 children, Avery and Corbin. She loves animals and has taken in several stray cats and dogs as part of the family. In her free time she enjoys exercising, hiking, reading books, watching movies and vacationing with her family. 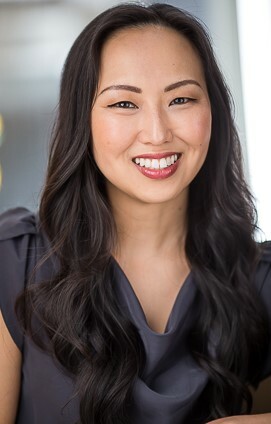 Yumi is passionate about helping people fulfill their dream of home ownership or improving their financial position through mortgage refinancing. She prides herself in working hard to provide the best service possible while educating clients through the complex mortgage process. She is dedicated to getting her clients into the right loan program and while meeting their individual needs. She is committed to giving her clients the best advice with honesty and integrity. Get a Quick Quote from Yumi now! “Yumi was always professional and did an excellent job helping me with my refinance. She was never pushy! I have had 3 loans in my life and Yumi was the most efficient and personable loan consultant I have had. My loan process was almost flawless. To top it off, Yumi’s follow up after the process ended was excellent. I highly recommend Yumi Lynch.” – Susan E.
“Very consistent and thorough, I appreciated that you kept in contact but you were not pushy. We were very pleased, you will be highly recommended. Thanks for a good job!” – Judy S.
“Yumi Lynch was very helpful, professional, and prompt. I am sure I wasn’t her only customer, but she made me feel like I was number one.” – Alaina B. “Yumi is excellent and very helpful. She explained all charges and was able to find us a great rate.” – Thomas and Mercedes S.
“We are very satisfied customers and would not hesitate in recommending Yumi to others. We already have!” – Mark and Georganne C.
“Yumi was fantastic! She was very professional, yet friendly, knowledgeable, competent, and easy to contact. What more could one ask?” – Will and Dottie P.